Lonely Planet’s Discover Barcelona 2019 is your passport to the most relevant, up-to-date advice on what to see and skip, and what hidden discoveries await you. Gaze in wonder at Gaudi’s Sagrada Familia, stroll along La Rambla and the ancient streets of the Barri Gotic, and take your pick of tapas joints—all with your trusted travel companion. Discover the best of Barcelona and begin your journey now! What is a Discover City book? 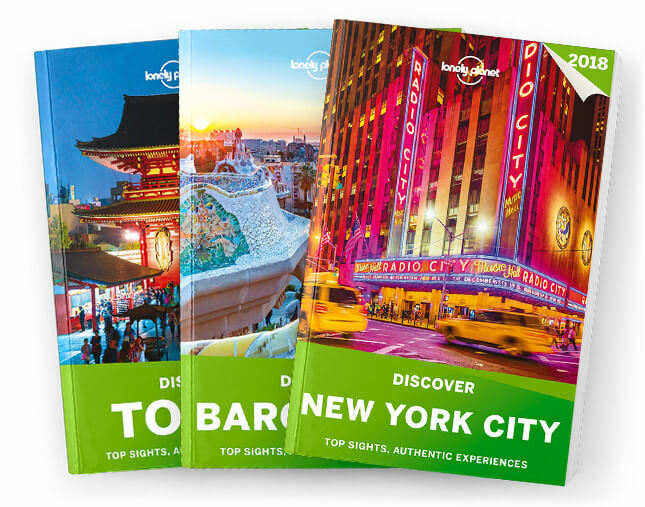 These are shorter, more concise guidebooks compared to our city guide series. More visually stimulating, they focus on the top sights and most authentic experiences. Perfect if you don’t need accommodation recommendations, they’re packed with expert knowledge, local secrets and carefully crafted itineraries, as well as the most relevant and up-to-date advice. If purchasing this title outside of the Americas, this series is named "Best Of" instead of "Discover".